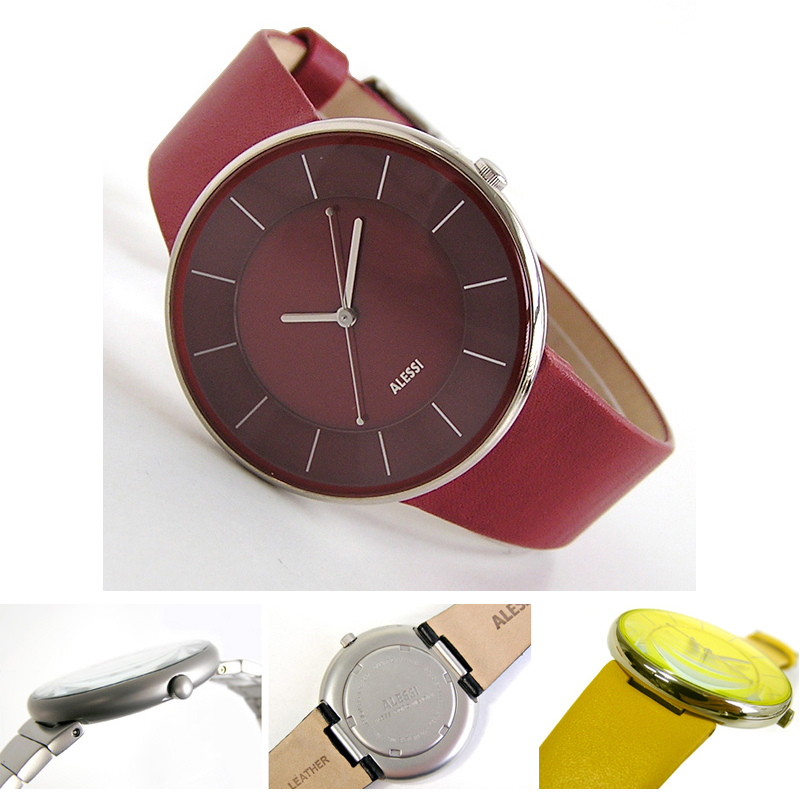 Alessi Luna Watch AL8001-R Burgundy Red 36mm. Luna was created by Allesandro Mendini. Allesandro Mendini likes the fact that this watch is named after the moon and expresses its calm roundness and silent mystery. Watches are generally entirely rational instruments, devised almost exclusively for giving precision to our days. But this moon-watch, with its image of calm roundness, inspires a peaceful and astral reading and a tranquil progression of time, days, nights and seasons. As is sometimes the case with the moon, this watch also seems somewhat timeless.